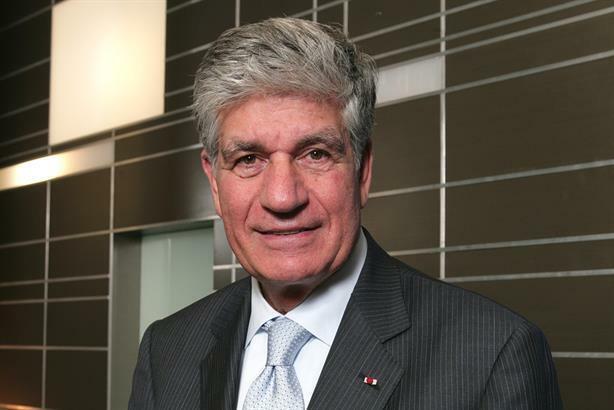 Maurice Lévy, the chairman of Publicis Groupe's supervisory board and former chief executive of the French ad giant, has said he was surprised the group's shock move to pull out of creative awards did not cause more controversy. Publicis Groupe’s announcement that it was going to pull out of all creative awards in 2018 and invest the money saved in a new artificial intelligence platform, called Marcel, prompted much discussion at Cannes Lions last week. When asked if he was surprised by the industry’s reaction Lévy said, "We were expecting some controversy. In fact, we were expecting much more controversy and we found out the vast majority of our clients and the vast majority of our people are considering that it is a bold and positive move. "I was expecting much more, much more bad noise, bad reaction. I think that the vast majority of the people in our industry have understood that we were taking the right step." Ascential, the owner of the Cannes Lions, launched an advisory committee "to help shape the future of the festival" on Friday after its share price fell and Publicis Groupe’s move prompted additional comments about the direction of Cannes Lions from WPP chief executive Sir Martin Sorrell, among others. Lévy said: "For me, the only direction that Cannes Lions can take is to go back to the roots and be mindful of the fact that in a world where advertisers are asking agencies to cut their costs, they need to be more reasonable on the cost." Since 1971, Lévy has attended Cannes Lions – then known as the International Advertising Film Festival and alternating between Cannes and Venice, Italy – every year. In the "good old days" Lévy stayed for the full week and spent his time in "dark rooms watching the work." Speaking during his now-annual two-day trip to Cannes, Lévy said: "I understand the fact that things are changing, but to be fair, it is much less about celebrating the work. It’s less about creativity. It seems much more a kind of fair. "You can look at [the Snapchat yellow ferris wheel] and have a smile but what it tells to the people is that we are starting to become the fair. There is a big question mark to which extent should be we go that far." Lévy denied industry speculation that the French government had phoned a senior Publicis Groupe figure to complain about the group making its announcement during Cannes week, a major contributor to the French town’s economy. He said: "We had no reaction from the French government. I don’t see why the French government would be involved in this. It has nothing to do with the government. "Our new president is very clear of the separation between business and government issues. This is a business issue; there is no reason why the government should be involved." Lévy said the timing was "simply a coincidence." He continued: "As you know, Arthur [Sadoun] has taken office [as Lévy’s successor as chairman and chief executive] on 1 June. He had his seminar in Paris on 17 June with the top people of the group and he then took the first opportunity to announce. "It’s just a coincidence in calendar. If he had taken office on 1 July, he would have made the announcement maybe on Bastille Day [14 July]. It’s just a question of timing." Publicis.Sapient, the group’s digital and tech division, will create the Marcel professional assistant system, which is named after Publicis Groupe’s founder, Marcel Bleustein-Blanchet. The app will use data to match staff with briefs regardless of what country in which they work. Marcel will give Publicis Groupe staff across the world the opportunity of "being exposed to the most demanding clients," Lévy said, and give the group "pause to evaluate the most important juries" and tell its clients it is " all about breakthrough work." Your call: Does Cannes need to hit the refresh button?